There are many lives each of us could live, many different paths one could explore during the course of his or her life, and each comes with its own blessings and challenges. If we are lucky, or so predisposed, we get to experience many ways of being during this one lifetime. This is true of Linda Versage and Walter Brodie, who own and operate Blanchard Mountain Farm in Bow. Walter went to school for environmental education, later became an RN, and was an industrial hygienist for the state of Washington. He has been a school nurse for 15 years and works part time for Mount Vernon Schools. Linda has had a career as an environmental educator, most recently developing and teaching K-12 field science to youth and teachers and helping schools build native plant and vegetable gardens. She too works part time for Mount Vernon Schools and is a Master Gardener. Veggies are on their way! In 2012, after many years in fulfilling professions, raising children, and creating urban farmsteads at homes they lived in along the way, they found themselves with an opportune moment. Before either of them had started their careers, they felt farming in their bones. It was their first love and calling, and has woven its way through their entire lives, manifesting in different experiences, jobs, and a multitude of prolific gardens. Both had green thumbs from an early age. When Walter was a teenager, he chose to work in the agricultural fields near his home town for years, picking strawberries, raspberries, green beans, and cucumbers alongside migrant workers. His family had means and he could have gone to summer camp, but for Walter on a farm was right where he wanted to be. Linda has had a deep-rooted connection to nature and would spend long hours in the woods by her house as a child. She says that ultimately farming to her is learning from and working with nature, and replicating ecological processes over and over again in a specific location. She feels that being a good naturalist helps you be a better farmer. Food was an important part of her formative years. Growing up in an Italian family, her grandfather would visit every Saturday with bags full of escarole, dandelion greens, broccoli rabe, fava beans, and burdock from the farmers market. This food palate has provided inspiration for Blanchard Mountain Farm’s offerings, specializing in Italian produce. They both worked or volunteered on farms throughout their lives, and interestingly, both helped Cloud Mountain Farm get rooted – literally – assisting in planting their orchard at different times many years before they even knew each other. So, in 2012, after the kids had moved out of the house, and the moment was perfect for change – they embarked on their next big adventure toward a new life. They had scouted spots that were rich with agricultural opportunities and decided to look for land in Whatcom and Skagit Counties as they’d both lived here before. After a long search, they purchased a beautiful piece of property in Bow-Edison that was ripe with possibility. It wasn’t originally what they had been hoping to find, as the buildings and land needed work–a lot of work–but it was such a special place that they delayed the farm startup to build an incredible foundation for their new home and businesses. Their vision included growing produce for the local community; offering a place for visitors to overnight and experience small-scale agriculture; and to host occasional education programs, K-12 field trips, and special events. 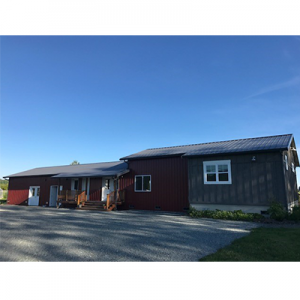 They rebuilt the house and barn so it now has a processing space and gathering area, and built a self-pay farm stand and guest house that they rent by the night. They also undertook lots of land improvements – including planting tons of native plants, and improving soil quality with cover crops and drainage infrastructure. They finished their first growing season last year! 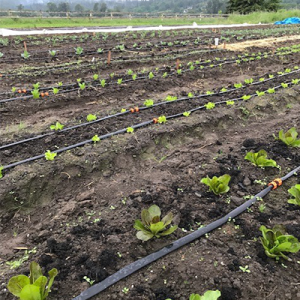 As Food to Bank On program participants, they grew cabbage and delicata squash for Bellingham and Skagit Food Banks, and a variety of other veggies for their farm stand and a few restaurants. Currently, four out of their 20 acres are being cultivated. They have a little under a ½ acre in produce and about 1-½ acres in cover crop. 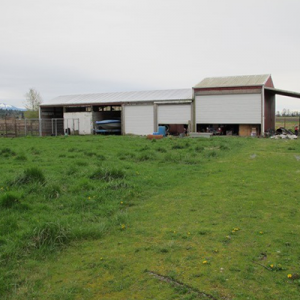 Two acres are offered in partnership to neighboring Thoughtful Food Farm to pilot growing Edison Hard Spring Wheat, an experiment to participate in bringing grain back to Skagit Valley. Blanchard Mountain Farm is a testament to all of the hard work and love they have poured into the place. As community members, they are a resource for fresh and tasty produce. They want their Bow-Edison neighbors and local restaurants to know that they can shop for fresh ingredients at their farm since grocery stores are 20 minutes away. The guest house is simply lovely, with serene rural views and wonderful wildlife watching. A classroom can be utilized for events, and the processing space can be shared with other farmers in time. They want their farm to be an asset to their local community–as a place to visit and learn about agriculture or to just drop by to bird watch. 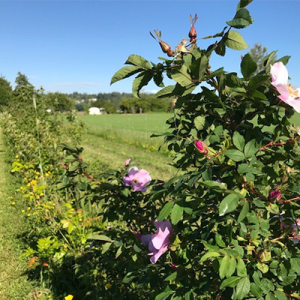 As land stewards they do so much, adding native hedgerows to feed local pollinators and beneficial insects, removing invasive plant species, and farming only with organic methods. In addition, they want to be collaborative partners with other farmers in the area. The barn and guest house after! It is easy to see that even amidst the hard work of launching a new business–and a farming business at that–they love what they do: growing food that is tasty and nutritious, cultivating land that offers up a prolific bounty, experiencing the magic of planting a seed one day and pulling out a carrot the next–all surrounded by the beauty of this special place. We are so lucky they chose to start their new farming life here! To actually taste the goodness of what they grow, visit their farm stand in Bow-Edison off Chuckanut Drive (with the late winter it’s been a slow spring season, so check in with them before you head out). They will be vending occasionally this summer at both the Bow Farmers Market at Samish Bay Cheese and the new Edison Farmers Market. For commercial businesses, they can be contacted directly and will also begin selling through the Puget Sound Food Hub this year. And if you would like a wonderful stay-cation or, for visitors, check out their guest house!